The latest version of Nissan's refined and powerful full-size SUV has arrived as the 2018 Nissan Armada. 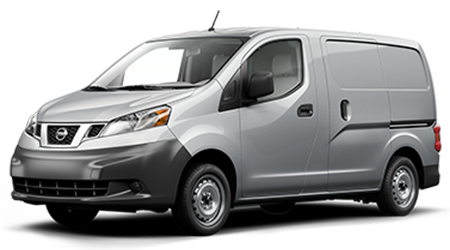 The 8-passenger Armada boasts three spacious rows of seating, including two rows that offer flexible cargo-hauling solutions to meet your family's varying needs. With its well-appointed cabin and potent V8 engine under the hood, the 2018 Nissan Armada proves there is no substitute for power and refinement in a full-size SUV! Woody Folsom Nissan of Vidalia welcomes drivers and families near Lyons and Reidsville, Georgia to discover the many benefits and rich features of the 2018 Armada at our Nissan dealership in Vidalia, GA. You can first explore this roomy family SUV here on our website, learning about its well-equipped trim levels; then, shop our new Nissan Armada inventory online or with a visit to our dealership! If you are looking for a powerful full-size SUV that offers stellar towing and hauling capabilities, the good news is that every version of the 2018 Nissan Armada delivers that and much more! With its standard 5.6-liter Endurance V8 engine generating 390 hp, the new Armada can tow up to 8,500 pounds, and offers a maximum payload of 1,724 pounds, regardless of which Armada trim level you select. The 2018 Armada starts out with an impressive standard features list on the SV trim, including a NissanConnect® infotainment system with navigation, plus 18-inch alloy wheels. The Armada SL trim and above swap out those 18-inch wheels for 20-inch alloys; inside, the SL and all higher trims of the 2018 Armada add an Intelligent Around View Monitor and leather-trimmed seats. When you opt for the 2018 Nissan Armada in Platinum or Platinum Reserve trim levels, further convenience features are included, like Nissan's Intelligent Rear View Mirror and Intelligent Cruise Control. The available smart rearview mirror provides greater rearward visibility when driving by projecting live video onto the rearview mirror; at any time, the Intelligent Rear View Mirror can be switched back to a conventional mirror with the push of a button. With Intelligent Cruise Control onboard, your family's weekend or vacation road trip can be less tedious, as this smart safety feature enables the Armada to adjust to the speed of traffic, without manually adjusting the cruise control speed. A Tri-Zone Entertainment System is also fitted in the upper trim levels of the 2018 Armada to keep rear passengers occupied during long journeys. With stellar capabilities and an upscale interior for up to eight passengers, what is not to love about the family-friendly 2018 Nissan Armada? There is much more to explore inside Nissan's largest SUV, so stop by Woody Folsom Nissan of Vidalia with your family for an informative tour and test drive! Our Nissan dealership and service center in Vidalia, GA proudly cater to drivers near Reidsville and Lyons, GA. If you are in the area, pay us a visit or contact us about our new Nissan vehicles for sale and our many other automotive services.